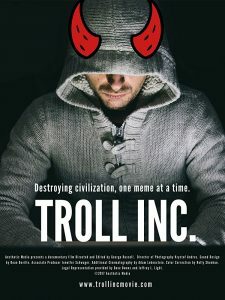 Director George Russell’s Troll Inc. is available on VOD May 22, putting the focus on Internet trolls who have become commonplace in today’s “fake news”-fueled media market. 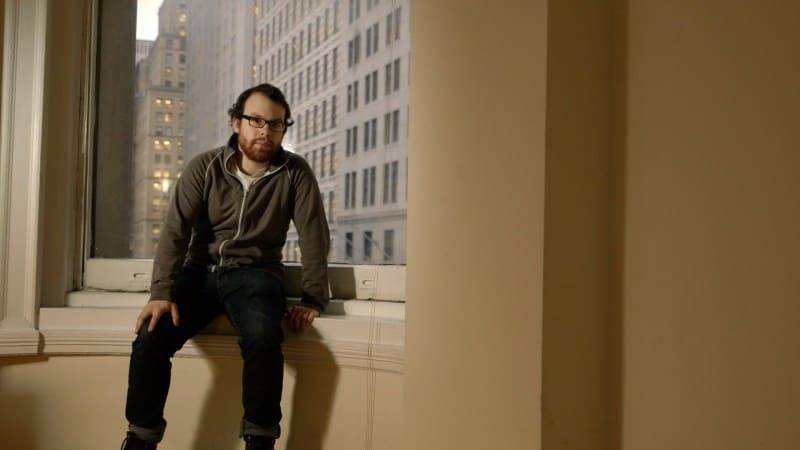 The foundation of the documentary is an extended interview with Andrew “Weev” Auernheimer, a well-known hacker who was charged with multiple computer crime felonies and is known for cyber attacks against major companies and news organizations. “Nowadays it doesn’t matter if a story is real, it only matters if people are clicking on it,” a Gawker editor says in the opening sequence of the documentary, telling the audience what we already know about the lack of trustworthy news on the Internet. Russell’s talking heads take philosophical, psychological and economical approaches to the Internet’s tendency to generate trolls and misleading click bait. Troll Inc. will diminish any viewer’s naive doubts about malicious hackers looking to make a negative impact on Internet users based on grossly false, typically-disturbing content. Auernheimer is a frightening, smarmy, intelligent subject who will undoubtedly open viewers’ eyes to a troll’s twisted motivation and just how easy it is to manipulate web stories - and, as a result, points of view. The rapid pace at which Auernheimer’s generated stories spread - with names as big as Apple and AT&T attached - is alarming and educational for viewers who aren't sufficiently informed about security breaches and cyber safety. The moniker “troll” is examined at length in Russell’s 75-minute documentary - it doesn’t just refer to the Twitter users with seven followers who call Lena Dunham derogatory names or bash the Colorado Rockies organization for hiring a female announcer. In fact, as it relates to women in the entertainment industry, trolling goes far beyond the infamous 2014 Sony hack. Racism and sexism are common themes when it comes to analyzing troll behavior. 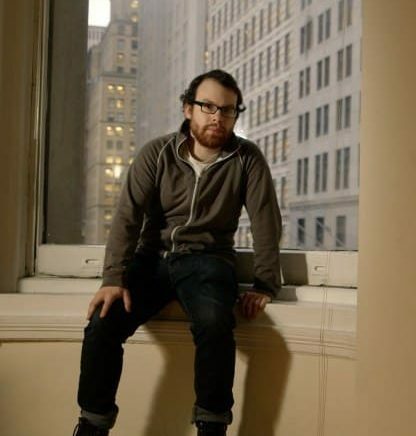 Auernheimer’s own antisemitism is mentioned in Troll Inc., and it doesn’t take a psychology scholar to note the connection between anonymously posting cruel comments online and harboring hate-fueled biases against large groups of people. There was an inordinate amount of online backlash against Meryl Streep and the cast of the 2015 film Suffragette - and not just from anti-feminists who wrote negative Reddit reviews citing clever phrases like “go make a sandwich.” Sexist and offensive content swirled around the film's lauding of 20th century women who earned the right to vote, even calling the film “white-washed” - despite the historically accurate racial depiction of London in 1912. 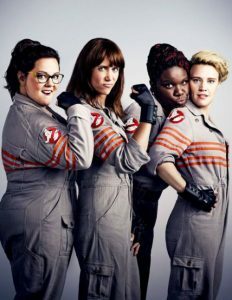 According to IndieWire writer Sam Adams, nearly eight times as many male voters gave the new Ghostbusters a negative rating as women, who collectively rated he movie twice as high as men. Message boards or not, trolls find a way. Top Photo: Troll, Inc. movie poster. Middle Photos: Russell interviewed Auernheimer over three six-hour days; Feig's Ghostbusters reboot cast. 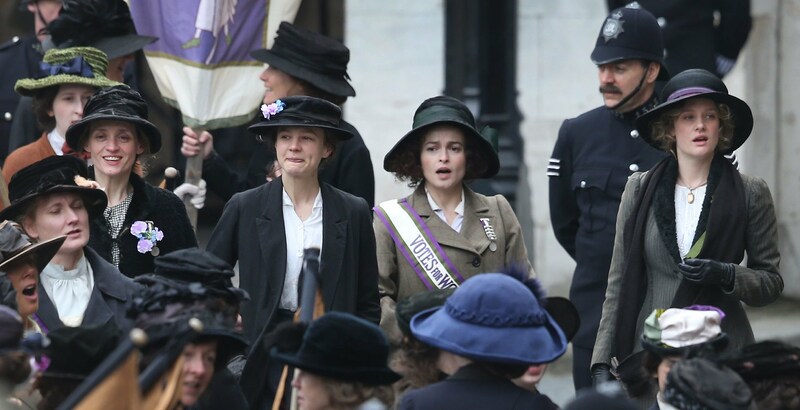 Bottom Photo: Director Sarah Gavron's 2015 film Suffragette was deemed a victim of Internet backlash.